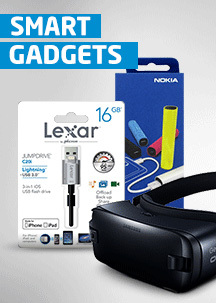 This website is operated by Phone Parts and its subsidiaries and affiliates (collectively, “us”, “we” or “ PhoneParts.co.uk”). You may register with PhoneParts.co.uk to place an order for products through this website. 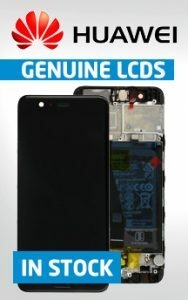 In return for permitting you to use PhoneParts.co.uk website and benefiting from our services, you agree that any information you provide to us about yourself at any time will be true, accurate, current and complete and that you will ensure that this information is kept accurate and up to date. If incorrect information is supplied, any contractual obligation Phone Parts (PhoneParts.co.uk) has is immediately null and void. by continuing to use this website and any of the services offered, you are confirming that you have received the consent of your parents or legal guardian. PLEASE NOTE that all minors are recommended to discuss these terms and conditions with their parents or legal guardian before they complete the registration process. All software used on this website is the property of Phone Parts and is protected by UK and international copyright laws ALL RIGHTS ARE RESERVED. Permission is granted to electronically copy and to print in hard copy portions of this website for the purposes of placing an order with Phone Parts (PhoneParts.co.uk)and using this website as a shopping resource ONLY. Any other use of materials on this website, including but not limited to, reproduction for purposes other than those noted above, modification, distribution, transmission, broadcasting, republication, downloading or uploading without the prior written permission of Phone Parts is strictly prohibited. Phone Parts (PhoneParts.co.uk) will, in appropriate circumstances, terminate the accounts of users who infringe the intellectual property rights of others. If you believe that your work has been used or copied in a way that constitutes copyright infringement, please provide our Legal Department with a notice containing the following elements. 6. A statement by you that the information in your Notice is accurate and that you are the copyright owner or are authorised to act on the copyright owner’s behalf. You acknowledge and agree that trademarks included on this website shall remain at all times vested in, Phone Parts (PhoneParts.co.uk) or any third party licensing use thereof to Phone Parts (PhoneParts.co.uk) (as applicable). You further undertake not to use any such trademarks without the prior written consent of Phone Parts, or Third Party Trademarks without the prior written consent of Phone Parts (PhoneParts.co.uk) or such third parties that own the applicable trade mark. The Phone Parts (PhoneParts.co.uk) logo is an official trade mark of Phone Parts (PhoneParts.co.uk) and is the subject of extensive trade mark registration worldwide. If you send communications or materials to this website by electronic mail or otherwise, concerning any comments, questions, suggestions or the like, all such communications are, and will be treated as, non-confidential and non-proprietary. Thus, you give up any claim that any use of such material infringes any of your rights including without limitation moral rights, proprietary rights or any other right, including the right to approve the way in which Phone Parts (PhoneParts.co.uk) uses such material. Phone Parts (PhoneParts.co.uk) reserves the right to add to, amend, change or remove any part of these Terms and Conditions at any time. When material changes are made to the Terms and Conditions, a notice will be published on the home page of the PhoneParts.co.uk website notifying users that such changes have been made. By continuing to use this website after the publication of such a notice, you are indicating your acceptance of those changes. PhoneParts.co.uk may add, change, discontinue, remove or suspend any other content displayed on this website, including features and specifications of products and services described or depicted on the website, temporarily or permanently, at any time, without notice and without liability. The majority of the product images displayed PhoneParts.co.uk website and in advertisements and catalogues have been created by our own professional team of photographers. Disclaimer: Whilst every effort is made to ensure product images and descriptions are correct when submitted on PhoneParts.co.uk website we will not be held responsible for any changes made by the manufacturers. Please though read our FAQ’s on what to do if you are unhappy with a product you have received. Our FAQ section tells you how to order and pay for products. It also addresses any questions you might have about delivery of your products, your right to cancel orders or return faulty products to us and our quality assurance. As part of the initial order confirmation process we will request Pre-Authorisation of payment from your card issuer, this will show as a pending transaction for the full value of the order, if stock is not available at Phone Parts within 5 days the pending transaction will be voided releasing funds back into your available balance. When stock becomes available we will process a new transaction capturing relevant funds at that point. Please make sure you have adequate funds in your account around the stock due date. Phone Parts (PhoneParts.co.uk) reserves the right to decline orders for bulk or high value purchases and to change price and availability information without notice. All orders placed through the Website are subject to PhoneParts.co.uk acceptance. This means that Phone Parts (PhoneParts.co.uk) may refuse to accept or may cancel any order, whether or not the order has been confirmed, for any or no reason, and without liability to you or anyone else. If your credit card has already been charged for an order that is later cancelled, Phone Parts (PhoneParts.co.uk) will issue you a refund. Phone Parts (PhoneParts.co.uk) accepts no liability for any additional charges levied by the government of the recipient country. By placing an order on our website the customer acknowledges the recipient accepts liability for any charges applied by their government (including, but not limited to taxes, duties, holding fees). Phone Parts (PhoneParts.co.uk) has no control over these charges and cannot predict what they may be. Customs policies vary widely from country to country and are subject to change. Phone Parts (PhoneParts.co.uk) would advise each customer to contact their local customs office for further information prior to placing any order. Furthermore, Phone Parts (PhoneParts.co.uk) will also not be liable for any further costs incurred as a result of customers refusing to pay the applicable customs charges and will charge accordingly for any charges incurred by Phone Parts (PhoneParts.co.uk) as a result of the recipient’s refusal to pay the applicable charge levied by Customs. Customers outside the UK should be aware Phone Parts (PhoneParts.co.uk) will take payment in Sterling; any conversion shown on the website to USD or Euro is purely a guide calculated at that day’s exchange rate, however your bank or card issuer may not offer the same rate. Phone Parts (PhoneParts.co.uk) will not be liable for any further charges your card issuer may levy. 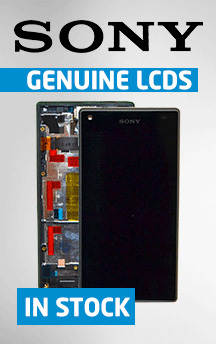 Phone Parts (PhoneParts.co.uk) will endeavour to display availability as accurately as possible. If we are unable to supply the goods requested we will aim to assist you in finding a suitable alternative upon which you are happy with, however Phone Parts (PhoneParts.co.uk) will not be bound to offer alternatives to a greater value than the item originally chosen, and a difference may be required to be paid. If you do not wish for an alternative product we will cancel any pending transaction immediately, please be aware that funds may take several days to reallocate in your account. In the event that we do not receive all of an order from a supplier Pre-orders will be fore filled in chronological order, we will contact any customers whom have missed out with either alternatives or refunds as mentioned above. If you wish to do this we require notification in writing, either emailed prior to you receiving the parcel or in with returned goods. If you cancel in writing we will give a full refund of the goods including the basic delivery charge, if you have paid for Express delivery you may not be fully reimbursed for this. If you have received the goods you will be expected to cover the cost of return, if the parcel is larger than 2 shoe boxes or weighs over 5KG please contact our Customer Services team and they may be able to advise on a well priced returns method, or arrange collection at cost to yourself. Any cancelled items must be returned in a resalable condition, unused along with packaging, we always advise you use suitable outer packaging to ensure both the product and its packaging are kept in good condition. Phone Parts (PhoneParts.co.uk) will initially Pre-authorise funds for the full order total at the point of ordering, however payment is captured for all pre-ordered items just before they are dispatched from our warehouse or, in the case of personalised items, payment is captured before they are sent for personalisation. Therefore Pre-Autorised funds may reallocate into your account if stock arrives more than 5 days after the order is placed, a new transaction will then be processed when stock arrives, please ensure you have funds available near the expected stock due date. Phone Parts has no control over and does not accept responsibility for the length of time it takes for funds to be released back to your account. By submitting your payment details to Phone Parts (PhoneParts.co.uk) you accept that we will capture funds at the time stock is available for dispatch, Phone Parts (PhoneParts.co.uk) will not accept liability for any charges applied by your card provider relating to the transaction. Whilst goods are in transit to you, Phone Parts (PhoneParts.co.uk) are responsible for ensuring delivery is at least attempted, and in the case you are unavailable to receive at the address you given to us we will supply sufficient assistance so you can locate and collect your order from the relevant delivery agent. We ask that we be given sufficient time to investigate with our delivery agents before either replacing or refunding goods, investigation time is often longer for parcels sent outside Europe. If delivery is to a commercial address (work/shop) rather than a residential address, responsibility for locating the parcel rests with the customer as soon as we are able to confirm the parcel has been delivered to the reception area of the requested building. 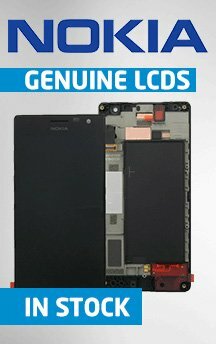 Phone Parts (PhoneParts.co.uk) accepts no liability for parcels lost or misplaced after delivery is confirmed. All goods supplied by Phone Parts (PhoneParts.co.uk) are from official sources and are covered by the normal manufacturerӳ warranty. If an exchange or refund is required then the items should be returned to us in their original condition and packaging within 28 days of your purchase. (Exceptions can be arranged for Christmas and gift presents. ( Contact our Customer Service team for details). This does not affect your statutory rights. In all cases, the items returned must be in their original condition, which includes any packaging. For example, Samsung service pack must be returned in original packaging. All goods will be inspected on return. The goods are your responsibility until they reach our Warehouse. Please ensure you package your return appropriately to prevent any damage to the items or boxes. For items returned as “not needed”, we will refund the monetary value of the goods only. If goods show signs of wear/tear or are not in resalable condition they will not be accepted for return. If after items are inspected they are deemed faulty or if Phone Parts (PhoneParts.co.uk) has sent items incorrectly both original shipping costs and returns shipping costs will be refunded to you. If the original shipping cost was for multiple items only a proportion of the cost relating to the faulty item/s will be refunded. The purpose of the website is to give you transparency and control over the returns process and to have a log of all the returned items. Any time you will want to check old returns, they will be available by logging into your account. When you create the RMA account, please use the same Name & Email you used on PhoneParts.co.uk, so it will be easier for us to link and for you to use. Follow the instructions in the attached guide to receive a RMA Number / Complaint Number for the returns you are sending. How the process works The items must be sent with a secure, protected and guaranteed mail service. The items you return are your responsibility until they reach our warehouse. After you had sent the items, please update in your RMA account the tracking number with the website link for the courier you had used, so we have a better control over the returns. As soon as the items had been received, it will take a total of 10 working days for them to be inspected according to our Return Policy. The resolution will be updated in your account on the RMA website. !!! Please add the CUSTOMER NAME & RMA NUMBER in the returns box !!! 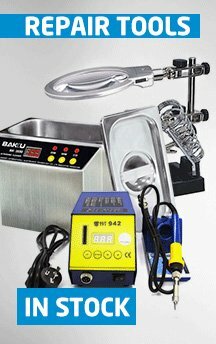 If the items are approved for replacement, we will cover the shipping costs. PhoneParts.co.uk may provide links to websites owned by Phone Parts and associated companies from time to time and/or websites that are owned by third parties that are not connected with Phone Parts including other websites owned by Phone Parts. All links are provided for your convenience only. Access to websites that are owned by third parties is at your own risk and none of Phone Parts has any responsibility or liability for such third party websites. The Website may contain services and features that are available to certain mobile phones. Your carrier normal rates and fees apply. If Phone Parts (PhoneParts.co.uk) charges you for a mobile service, you will first be notified and asked to accept any charges. Not all mobile services will work with all carriers or devices. You should check the rates and services offered by your carrier. By using Phone Parts (PhoneParts.co.uk) mobile services, you agree that we may communicate with you by electronic means to your mobile device and that certain information about your use if these services may be shared with us. If you change or deactivate your mobile phone number, you must promptly update your account information to ensure that we don’t send your messages to a different person. Phone Parts (PhoneParts.co.uk) allows you the option to publish about the actions you take on PhoneParts.co.uk Website to Facebook, Twitter and other social platforms. Phone Parts (PhoneParts.co.uk) does not control which information gets disseminated on participating social platforms. You agree to allow Phone Parts (PhoneParts.co.uk) to check your PhoneParts.co.uk cookies when you are visiting participating social platforms, and allow Phone Parts (PhoneParts.co.uk) to receive information about your use of those social platforms. You can deactivate this publishing feature on your profile page. 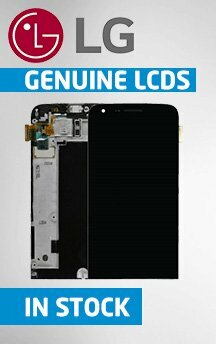 Phone Parts (PhoneParts.co.uk) will endeavour to ensure that this website is fully operational at all times. However we cannot guarantee that the website will be fault free. In particular, access to this website may be interrupted or restricted to allow for emergency or routine repairs or maintenance to be carried out or the introduction of new facilities or services. Further, by using this website and any sub-site, you acknowledge and agree that the Internet uses elements and relies upon services, input and facilities which are not within the control of Phone Parts (PhoneParts.co.uk) and if PhoneParts.co.uk is totally or partially prevented or delayed in the performance of any of its obligations in providing a particular service, such a situation will constitute a ‘force majeure’ and Phone Parts (PhoneParts.co.uk) shall be excused the performance for so long as such a situation endures. For the purposes of these Terms and Conditions, the term ‘force majeure’ shall be deemed to include any cause affecting the performance by Phone Parts (PhoneParts.co.uk) of its obligations arising from or attributable to acts, events, omissions or accidents beyond the reasonable control of Phone Parts (PhoneParts.co.uk) and in particular, but not by way of limitation, shall include strikes, lock-outs, other industrial action, actual or threatened terrorist action, civil commotion, riot, crowd disorder, invasion, war, threat or preparation for war, fire, technical or power failure, software, hardware or telecommunication or other network failures, interruptions, disruptions or malfunctions, explosions, storm, flood, earthquake, subsidence, structural damage, epidemic or other natural or physical disaster, any legislation, regulation, rule or ruling of government, court or any competent authority. Phone Parts (PhoneParts.co.uk) reserves its right to restrict, suspend or terminate your use of this website or any of our services at any time if we believe, in our absolute discretion, that you have breached these Terms and Conditions. You agree to indemnify, defend and hold PhoneParts.co.uk, all of their associate companies, their directors, employees, information providers, licensorӳ and licensees, officers and partners, (collectively, the “Indemnified Parties”) harmless from and against any and all liability and costs (including, without limitation, legal fees and costs), incurred by the Indemnified Parties in connection with any claim arising out of any breach by you of these Terms and Conditions. You will co-operate as fully as reasonably required by Phone Parts (PhoneParts.co.uk) as the case may be, in defence of any claim. Phone Parts (PhoneParts.co.uk) reserves the right, at their own expense, to assume the exclusive defence and control of any matter and you shall not in any event settle any matter without the written consent of PhoneParts.co.uk. Alterations: We may amend this website and our services in any way and at any time with or without notice to you. For orders going in the United States of America, Phone Parts cannot offer product liability. If you have any complaints or comments about our website or any of the products supplied to you, please contact Phone Parts (PhoneParts.co.uk) by emailing [email protected] or through the comments section on the website. Our Customer Service Team are available 5 days a week, from 9:30am until 6:00pm weekdays only, Weekends and Bank Holidays we are closed. Please allow 24hrs for us to respond to website comments and emails. In situations where PhoneParts.co.uk gives you the option to subscribe to its email service which will update you with news or information which it considers to be of interest to you, your use of the content received through the email service will be subject to these Terms and Conditions. To the fullest extent permitted by applicable laws, none of Phone Parts (PhoneParts.co.uk) nor any of their respective directors, employees, affiliates or other representatives will be liable for loss or damages arising out of or in connection with the use of, or inability to use, the materials in and/or facilities or services offered through this website, including, but not limited to, indirect or consequential loss or damages, loss of data, income, profit or opportunity, loss of or damage to property and claims of third parties, even if Phone Parts (PhoneParts.co.uk) have been advised of the possibility of such loss or damages or such loss or damages were reasonably foreseeable. If this clause is unenforceable in whole or in part in any jurisdiction due to relevant laws, then in no event shall PhoneParts.co.uk’s total liability to you for all damages, losses, and claims (whether in contract, tort (including, but not limited to, negligence or otherwise) exceed the amount paid by you, if any, for accessing this website. Phone Parts (PhoneParts.co.uk) will never cancel or not accept an order without liaising with the customer unless we are certain the order was not genuinely placed by the cardholder. If you have any concerns/questions regarding our fraud processes, or you are in law enforcement and require information regarding a specific transaction, please contact [email protected] and a member of our Business Protection team shall be in contact. Phone Parts (PhoneParts.co.uk) is not responsible or liable for any User Generated Content or other Content posted on the Website or for any offensive, unlawful or objectionable content you may encounter on or through the Website. The Website, User Generated Content, Content, and the materials and products on this Website are provided without warranties of any kind. To the fullest extent permitted by law, Phone Parts (PhoneParts.co.uk) disclaims all warranties, express or implied, including, but not limited to, implied warranties of title, merchantability, fitness for a particular purpose and non-infringement. 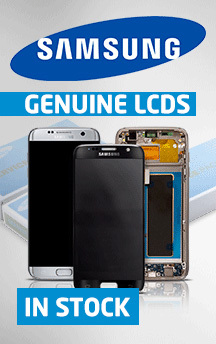 Phone Parts (PhoneParts.co.uk) cannot guarantee and does not promise any specific results from use of the Website. Phone Parts (PhoneParts.co.uk) does not represent or warrant that the Website will be uninterrupted or error-free, that any defects will be corrected, or that this Website or the server that makes the Website available are free of viruses or anything else harmful. To the fullest extent permitted by law, Phone Parts (PhoneParts.co.uk) does not make any warranties or representations regarding the use of the materials or Content in the Website in terms of their correctness, accuracy, adequacy, usefulness, reliability or otherwise. You understand and agree that you download or otherwise obtain Content (including any mobile client) at your own risk, and that you will be solely responsible for your use and any damage to your mobile device or computer system, loss of data or other harm of any kind that may result. Phone Parts (PhoneParts.co.uk) reserves the right to change any and all Content and other items used or contained in the Website at any time without notice. Some states do not permit limitations or exclusions on warranties, so the above limitations may not apply to you. Phone Parts (PhoneParts.co.uk) shall not be liable for any failure to perform its obligations where such failure is a result of acts of Nature (including fire, flood, earthquake, etc. ).